Board certified Facial Plastic Surgeon Dr. Nicola DeLorio offers a wide variety of treatments and products to ensure the best results for her clients. By offering a multitude of cosmetic fillers such as: Restylane, Juvederm®, Radiesse®, Sculptra® and Bellafill just to name a few, we can give you a superior, natural result. Whether adding volume or erasing fine lines, our goal is to enhance your natural beauty, not to create an overfilled, distorted appearance. Dr. DeLorio is a leading expert in cosmetic fillers and one of the largest volume injectors in the state of New Jersey. Combined with lasers, facials, asthetic & medical peels, and a fabulous offering of medical grade skin care products for home, we can give your skin a complete transformation. 2 lounges – I each for men and women – with luxurious seating and atmospheric lighting. These spacious lounges can easily accommodate spa, bridal, ladies-night-out groups. 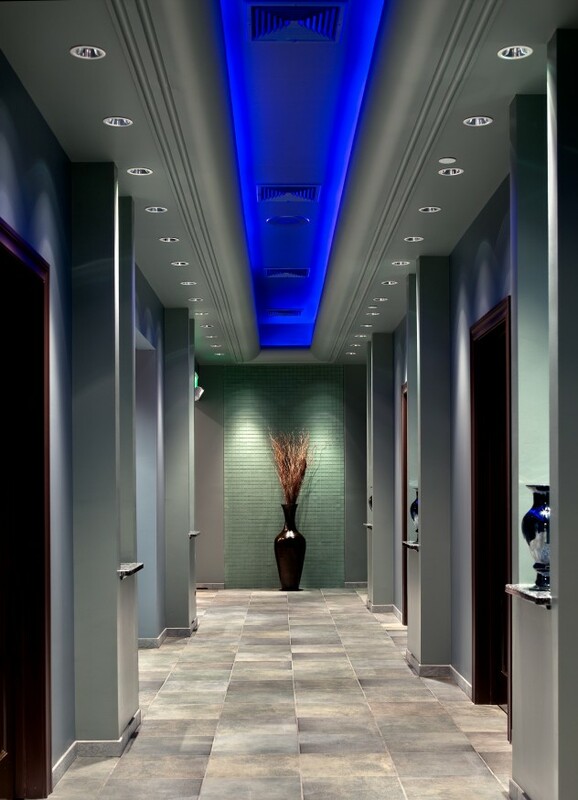 Eco-friendly, LED lighting and calming music fill all spaces of the spa to create the ultimate therapeutic and relaxing ambiance.